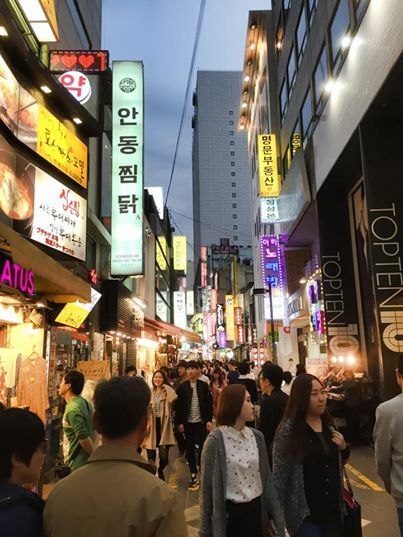 If shopping and enjoying local street food are your goals, then Myeongdong is your destination. Tteokbokki is a Korean style rice cake, similar to mochi, that is dipped in red chili sauce and sometimes served on a skewer. (I’ve also seen it in bowls.) If you’re not used to Korean spices, this will have a bit of a bite to it. I can’t finish one without my nose running and eyes watering up personally, but for some reason every time I come here, I still insist on eating them. Fruit stands are also insanely common in this area, selling both cut fruit, and freshly blended fresh juice. 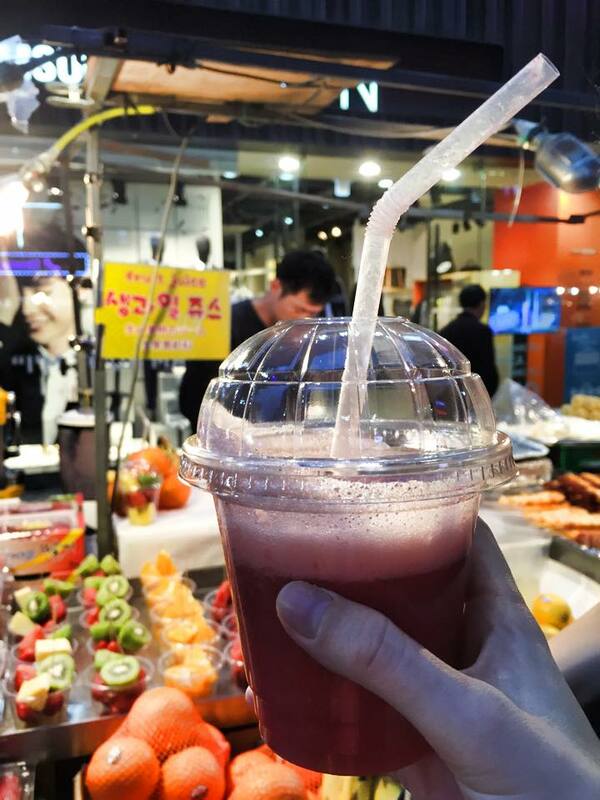 You can find lemonade, sugar cane juice, pomegranate juice, among other kinds of fresh juice. 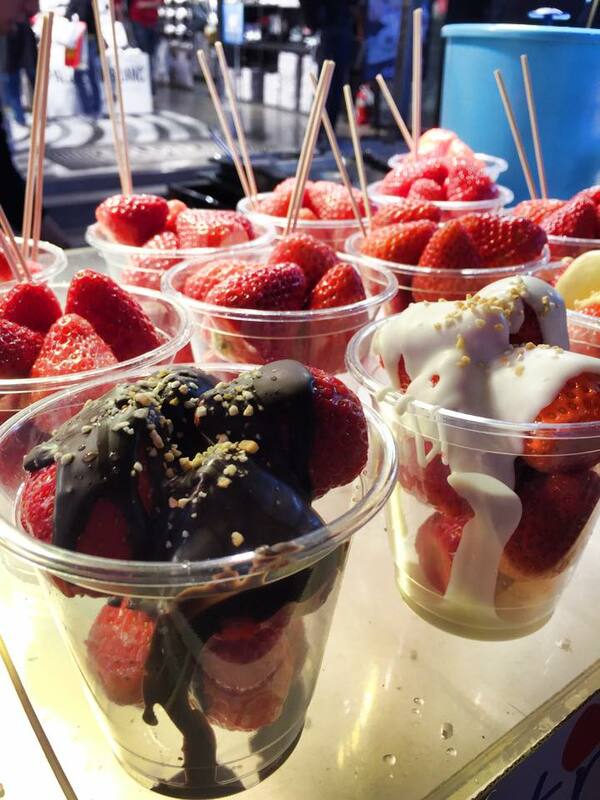 Considering the popularity and frequency of these stalls, it makes me wonder why smoothies and fresh fruits aren’t more accessible in Japan…? My favorite street food, however, was definitely hotteok; a traditional Korean pancake filled with brown sugar and nuts. 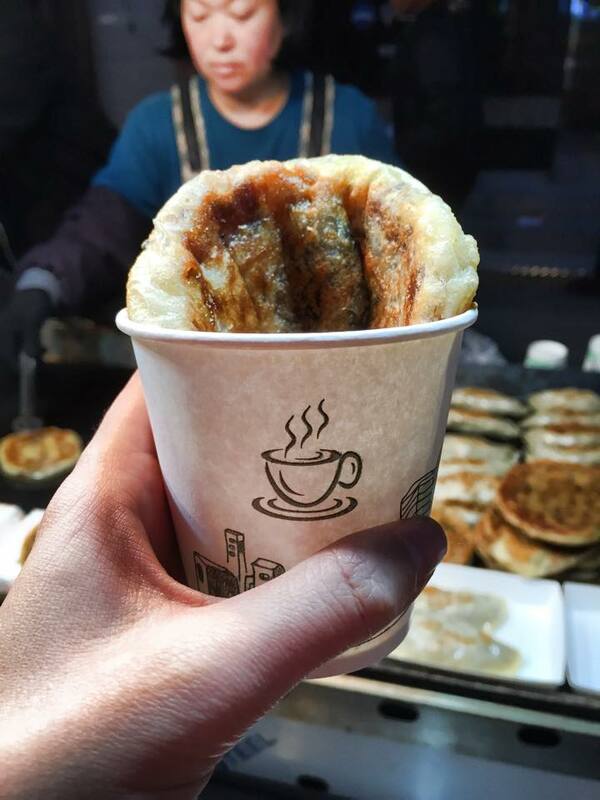 Normally served in the winter months, these hotteok are made-to-order, meaning they’re served fresh off the griddle (which is probably why they were serving them in coffee cups?) Hot, chewy, and sweet, I couldn’t get enough of these! I admit, I ate more than one. 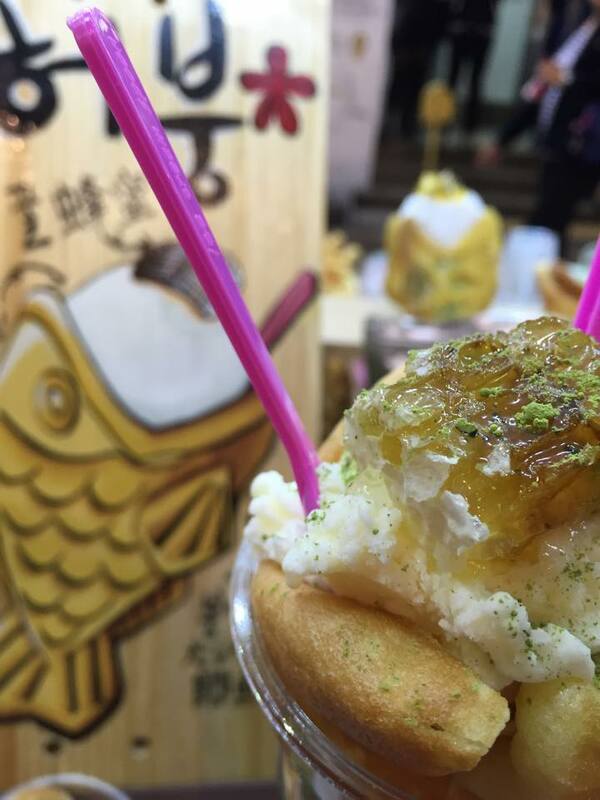 Another interesting discovery was a Korean version of the Japanese traditional fish-shaped cake snack, “Taiyaki.” Korean taiyaki maintained the original fish shape, but instead of red bean paste or custard, it was filled with vanilla ice cream, and topped with a block of raw honeycomb. I didn’t even know you could eat honeycomb like that? 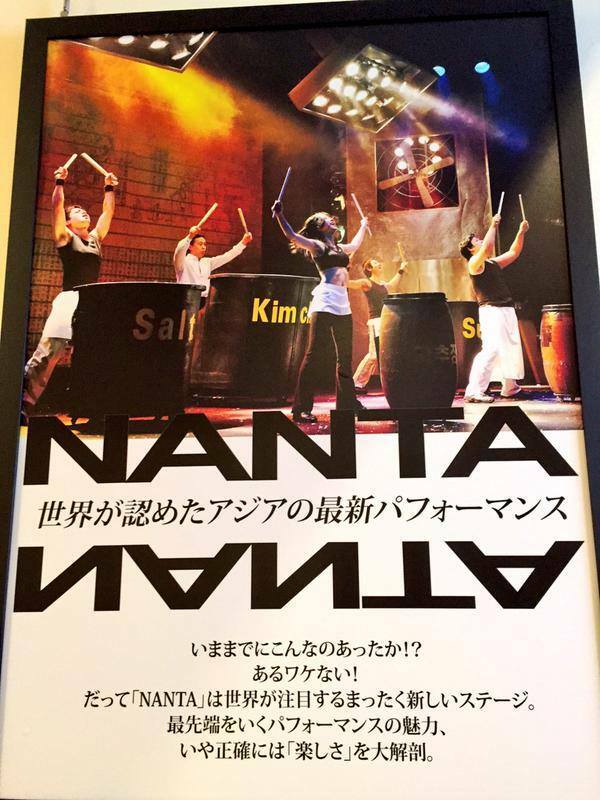 If you’re looking for some live entertainment, the NANTA theatre is located in Myeongdong as well, where the hit high-energy rhythm performance, “NANTA”, runs three times daily. We popped in as it started to rain outside and didn’t know what to expect, but it was entertaining. There’s hardly any dialogue, the acting is comically melodramatic and easy to understand, so there’s no need to worry about a language barrier when watching this show. Myeongdong is also a good place to grab a massage or facial, although it’s definitely best to shop around and be wary of hidden costs when negotiating a deal–something I found much easier to do in Japanese. 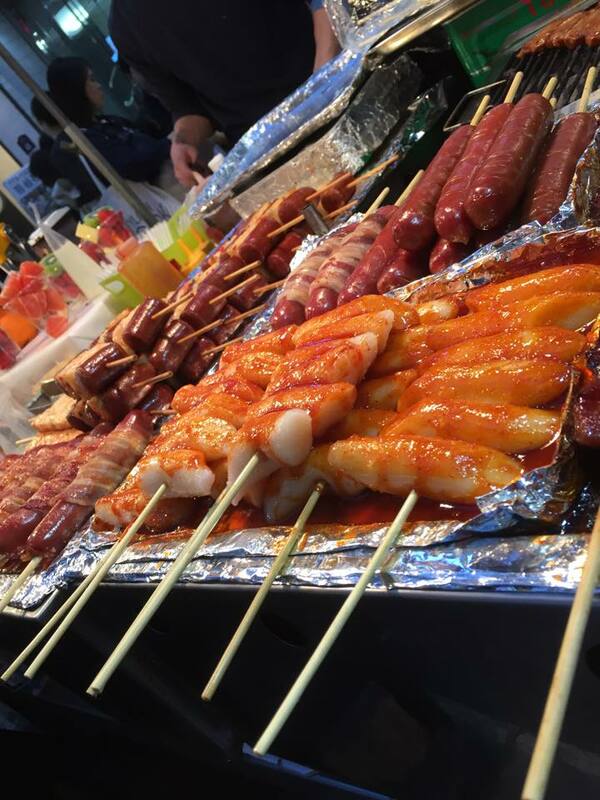 Posted in Asia, Food, Korea, TravelTagged オススメ, ガイド, ガイドブック, トッポギ, トラベル, ナンタ, ホットック, ミョンドン, ciaela, 紹介, English, 英語, 韓国, 韓国の屋台, 食べ物, 観光, 買い物, food, Food Tourism, Foodie, Guide, Hotteok, japanese, Korea, Korean food, Korean Taiyaki, Micaela, Myeongdong, NANTA, Seoul, Shopping, South Korea, Toppogi, Tourism, travel, 日本語, 明洞Bookmark the permalink. You can always invite me! Hahaha. I still have won left over!